Looking to Buy Best Bluetooth Speaker at the budget of around Rs.2000? If Yes, then you are at right place as today I am going to Share Top 10 Best Bluetooth Speakers Under 2000 Rupees. Nowadays, there are many Phones & Tablets which are becoming advanced day by day but their speakers are very poor. We all love listening to Music but the Phones Speaker is not that loud. It doesn’t matter much when listening alone but when it’s time to Play Music in Party or Wedding, Speaker is the Must-Have Gadget. 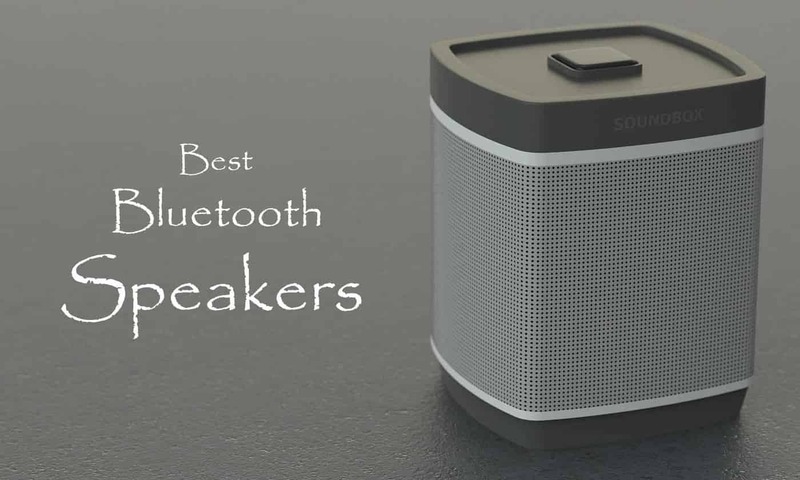 There are many different types of Speakers like Best Bluetooth Speakers, Best Wifi Speakers, Best Portable Speakers, Best Home Speakers and much more. Basically, Bluetooth Speakers are best for average sound. For low sound, you can use High-Quality Earphones and for huge sound, you can go with Soundbars or Home Theaters. There are many different types of Bluetooth Speakers available in the market that might confuse you. So, here I’ve shared the Bluetooth Speaker Buying Guide that will help you select Best Wireless Bluetooth Speaker for you. The First thing to look while buying a Bluetooth Speaker is its Sound Quality. No Matter how expensive your Speaker is, if it doesn’t have good sound, it’s not worth buying. So, always go with High Sound Quality Speakers. Another most important thing to look while buying a speaker is Battery Life. Don’t go with a Speaker that lasts less than an hour instead, go with the Speakers with Battery Life of 5-6 Hours or above. Another thing to look while purchasing a Bluetooth Speaker is the Driver Size. Most Portable Bluetooth Speakers typically have a driver size of 40mm which is a good size to start with, If you go with bigger driver size, Overall Speaker size will also increase. The number of Drivers also matters a lot with sound quality. The Version of Bluetooth determines the quality of the audio transmission and the distance you can keep between your phone and speaker. You should go with Bluetooth Version 4 or above to get the best audio experience. Bluetooth 5 is the latest Bluetooth Version that improves the data transmission and range but there is still some time to see Bluetooth 5 in the Speakers. Connectivity Option is another most important thing in a Bluetooth Speaker. Apart from Wireless Connectivity, it’s good to have a Wired Connectivity Option. Most of the Speakers also comes with Aux Input Port which is a great connectivity option. Charging is another important factor to consider while buying a Bluetooth Speaker. Most Speakers nowadays have Micro USB Charging Port which makes it easier to charge even with Power Banks. Apart from all the above features, you can also check for the extra features in the Speakers. The Features includes Water Resistance, LED Display, Multifunction Buttons, Voice Control, Paring Multiple Device, etc. Finally, you have to look for the Built & Design of the Speaker. Whether you want a Portable Speaker or Soundbar Speaker, its design will help you to select the best for you. Also, if you are looking for a large speaker, make sure it can fit near your LED TV or where ever you want to keep it. So, these were the few points you should remember before buying any Bluetooth Speaker. So, without wasting more time, let’s proceed further and check out Top 10 Best Bluetooth Speakers Under 2000 Rupees. 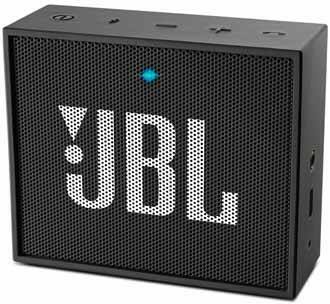 On the list of Top 10 Bluetooth Speakers, the number one speaker is JBL GO. The Speaker is quite popular and is highly rated Speaker. Though the size of this Speaker is very small, its performance and audio quality is very good. 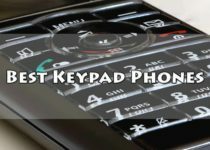 You can connect it with your Phone, Computer or MP3 Player via Bluetooth or Aux Cable. Additionally, it comes with many other features including Noise Cancelling Speakerphone, 5 Hours of Playtime, Crystal Clear Sound, etc. Overall, this is one of the Best Portable Bluetooth Speaker In India Under 2000 Rupees. Portronics is another Best Speaker Brand In India. 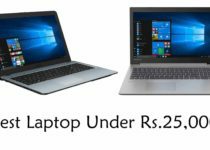 If you have a budget of 2k, then this will be another great choice. Portronics POR-871 SoundDrum is a 4.2 Stereo Speaker that has a very good sound quality. This is a Water Resistant Speaker which can protect the Speaker against Water Splashing. The Speaker has awesome sound quality and it comes with a powerful 10W In-Built Speaker with great amplifiers. Moreover, it has a Bluetooth Version 4.2, Two Powerful 5W Speakers, Water Resistant, In-Built FM, Long Battery Life of more than 7 hours, Aux & USB Port, etc. 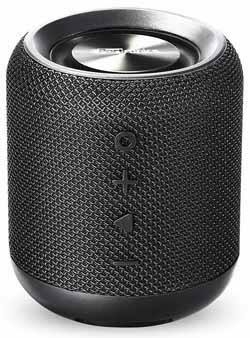 Logitech X100 is another Best Bluetooth Speaker In India Under 2000 Rupees. 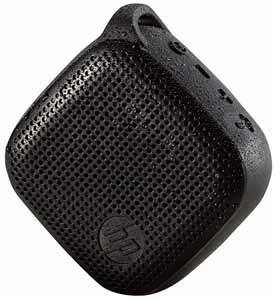 The Speaker is highly portable and can be easily carried in a pocket. The Speaker has a Wireless Range of around 30 ft and the Battery can last long for around 5 hours. You can connect this speaker via Bluetooth or 3.5 mm Aux Cable. Talking about its design, it is in the round shape and available in 5 different colors. The Speaker is very compact in size and can easily fit into your pocket. SoundBot SB571 is a 12W Bluetooth Speaker and another Best Bluetooth Speaker Under 2000 with High Bass. The Speaker is rectangular in shape and it gives a premium look to the speaker. You can find 6 Buttons on top of the speaker with the following functionality: Answer/End Call, Previous Track, Play/Pause, Next Track, Volume Down and Volume Up. It also has a Built-In Microphone & LED Indicator on the front side. It has a 2 x 40mm Speaker Driver with deep bass and crystal clear sound. Talking about the features, it has 6W + 6W HD Loud Speakers, 10 Hours of Playback Time, 33 ft Distance Range, Built-In Microphone, etc. 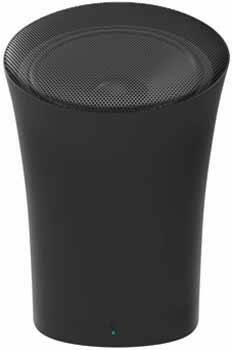 Portronics POR-280 Sound Pot Wireless Bluetooth Speaker is quite popular for its unique and cylindrical design. It can be easily placed anywhere in your home or even in your Car. The best part about this Speaker is that you can easily Pair Two Device at the same time without any issue. You’ll get very high-quality audio from this Speaker. Furthermore, it has many other specifications including Long Battery Life, Compact in Size, High-Quality Performance, Auto Switch off after 10 Minutes if not in use and many other specifications. Mi Basic 2 is another most popular and Best Buying Bluetooth Speaker which comes with Bluetooth Version 4.2 that delivers high-quality audio. 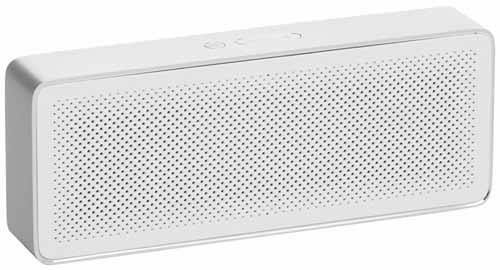 This is also Best Bluetooth Speaker for Calling as it comes with Integrated Mic and CVC Enabled Noise Cancellation Technology. It comes with a battery capacity of 1200 mAH that can give around 10 hours of music playback. The Speaker also has an Aux-in Support and Micro USB Port. Overall, this is one of the Best Wireless Speaker Under 2000 Rupees In India. 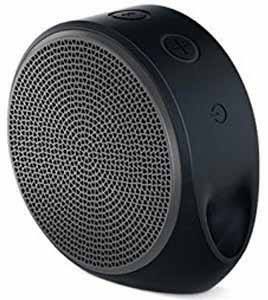 Logitech X50 is another most popular and highly rated Wireless Speaker under 2000 Rupees. The design of this speaker is very similar to the Logitech X100 with only few changes. The Device can be connected with any of the Bluetooth Supported devices and even with 3.5 mm Audio Jack. Though the speaker is smaller in size, it has very crystal clear sound and has an extra bass effect. You can expect 5 hours of continuous playback time from this speaker. Apart from this, you’ll get up to 10m of wireless range. 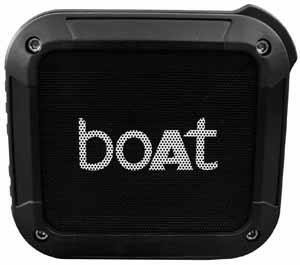 boAt is another Best Bluetooth Speaker Brand In India. The Company is well known for manufacturing high-quality Headphones, Earphones & Speakers. boAt Stone 200 is a Portable and Waterproof Bluetooth Speaker at around Rs.1000. It has a shockproof body made from rubber matte finish making it more durable. Additionally, it has many other features including 30 Feet range, 3W power output, Built-In Microphone, 1500mAh Battery, 10 Hours of Music Playback, Hands Free Calls & Controls, etc. 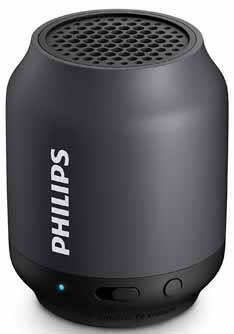 Philips is another popular and trusted brand that manufactures high-quality Speakers and Headphones. This is another Best Bluetooth Speaker in the list and has a Bluetooth Range of around 10m. This is a Portable Wireless Speaker that can be carried anywhere while traveling and can be connected with any Bluetooth enabled device. Talking about its specifications, it comes with Anti-Clipping Function, Music Playback time of 5-6 Hours, Highly Portable, Audio-In, etc. Overall, this is one of the Best Bluetooth Speaker Under 1500 Rupees. 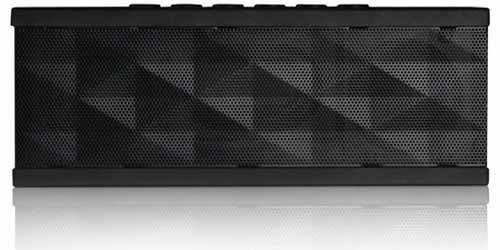 If you are looking for a Best Budget Bluetooth Speaker, then HP Mini 300 Speaker can be perfect for you. 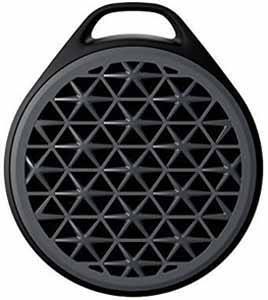 This is one of the Best Bluetooth Speaker Under 1000 Rupees with many Specifications. This is a Mini Portable Speaker that has a good High-Quality Audio. It also has a Built-In Microphone to take hands-free calls over Bluetooth. The Speaker is perfect for indoor as well as outdoor use. This is one of the best and Cheapest Bluetooth Speaker under 1000 Rupees. The Speaker comes with a Rechargeable lithium battery that gives up to 8 hours of playtime. The Speaker very Portable which makes it easy to carry. Overall, this is one of the Best Mini Bluetooth Speaker Under 1000 Rupees. This was the Article On Top 10 Best Bluetooth Speakers Under 2000 Rupees. I have also shared Buyers Guide that will help you to select the best speaker for you. Apart from this, there are many other Voice Assistant Speaker, Wireless Speaker, Multimedia Speaker, Floor Standing Speaker, etc. but here I’ve shared the Best Brand Bluetooth Speakers Under 2000 Rupees out of them. Hope you liked this Article On Best Bluetooth Speakers Under 2000. Do Comment below which one are you looking to purchase from these. Also, do let us know if we have missed any of the Best Speakers. Stay tuned with us for more Products & Gadgets Review.